This is occasional series I’ve started where I give my best guess on a celebrity’s Kibbe Image Identity–I look at their roles and image, versus an analysis of their physical features and body type. Last time, I decided that Natalie Portman is SG. This time, I’m going to reach a similar conclusion about an actress who is rather similar to her, with a similar debate about her type. I’ve never seen Gilmore Girls until recently, when I decided to start binge watching it while laid up in bed with a upper respiratory tract infection. 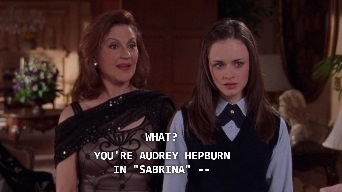 So far, I’m up to season four, and for me, the clues about Alexis’s type come less from what kind of character Rory Gilmore is and more about what other people on the show say about her. One of the ways David Kibbe characterized gamines in general in our FG Facebook group is that “you can’t be sure if she is a waif under the bridge… Or a princess in waiting!” I think you’d be hard-pressed to find a modern example of an actress that fits this characterization better than Alexis. 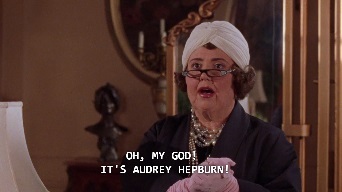 It is, in fact, easy to put Alexis into Audrey’s roles. The princess out for a day of fun in Roman Holiday, the bookstore intellectual-turned-model in Funny Face… She’d be perfect. She has similar qualities of vulnerability, charm, and intelligence that make her appealing. After thinking about it, it’s hard for me to understand why her Flamboyant Gamine Image ID isn’t more obvious to people, and I have no idea why she is put into Dramatic Classic and Soft Classic on Pinterest. She is a deer, which huge eyes and a surprisingly long body for her face (5’7″). I could easily seen her as a 1960s teen sensation like Twiggy. Classics, to me, have a more solid presence on screen. 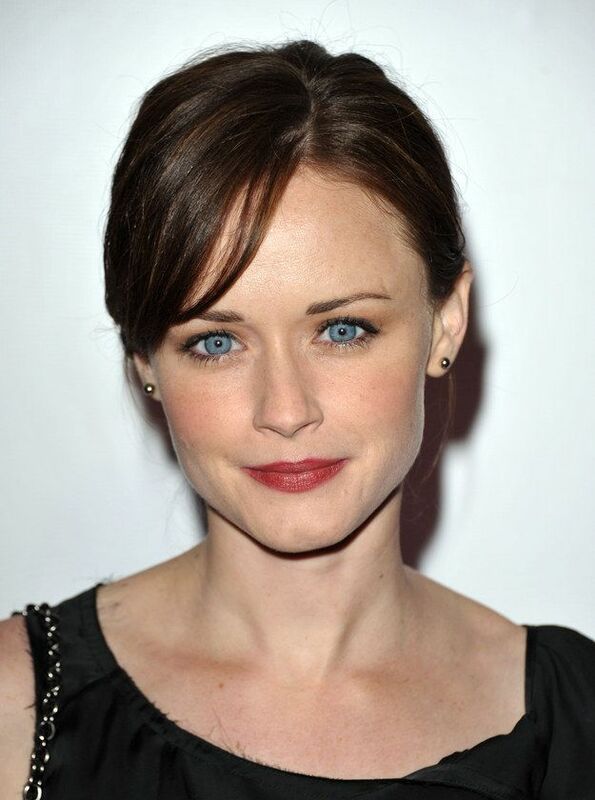 In fact, I think that if Rory Gilmore had been played by a Classic, it would have been too much. Of course the Grace Kelly facsimile got in Harvard, Princeton, and Yale; had every boy fall in love with her at first sight; and had mega-millionaire grandparents! But that little added Gamine charm helps to make her more appealing on screen (not that Classics don’t have enormous appeal, but at some point, there is just too much perfection). Hmm. 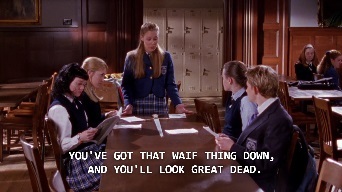 I’m watching Gilmore Girls now (season 3 so far) and I never would have thought any kind of gamine for her because she seems quite large on screen to me. Not just tall, but also wide, more like a natural. The only times she looks smallish is when she is standing next to really tall people like Dean or her grandpa. But my only thought about her regarding Kibbe was “Well, she’s definetely yang”. Now I’m beginning to think that “natural” look might just come from the way they dress her for the show. I saw a bit of her from s4 with shorter hair, and she looked way more interesting like that, really deer-like. I’ll be watching more closely now with FG idea in mind. Do you by chance have any idea about what type Paris (Liza Weil) might be? FGs aren’t the tiniest women in the room, usually–they are supposed to have big hands and feet for their height, usually. I’ve seen Alexis as SG too, and I think *that* is wrong, because you’re right, she is surprisingly not petite for her face. And yeah, I think they do dress her in Natural a lot in the show. But you can see, I think, that she is still pretty sharp in her bone structure, not blunt. I think Lauren Graham is FN, so look at them next to each other next time you watch. Paris… She reminds me of Sarah Paulson, but she is actually on the shorter side. She seems to favor FG in her real life, she’s definitely yang… Paris seems like a DC character, maybe, but I’m not sure. Liza Weil also plays a DC-ish character in the tv show “How to Get Away with Murder”. I’ve always thought FG for her, but perhaps, that’s because I had most of GG memorized before I got into Kibbe, lol! Somehow I missed it, despite my own high school and college years roughly coinciding with Rory’s. I think a lot of people thought FG for her, but maybe were afraid to say so because the Pinterest consensus seems to be a C type? I love FG for her. 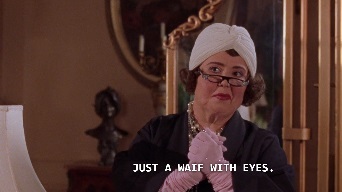 I think it’s even more apparent when she was on Mad Men. Huh! I hear everyone’s reasoning, but she just doesn’t have gamine energy to me. Her energy feels quite deep and still to me. Unlike Sara, I particularly noticed it in her run on Mad Men. On GG, I think part of the fun of the frenetic energy is that the actress herself doesn’t have that energy, so it feels quite stagey and knowing. I don’t necessarily see Gamines as having super high energy, actually. 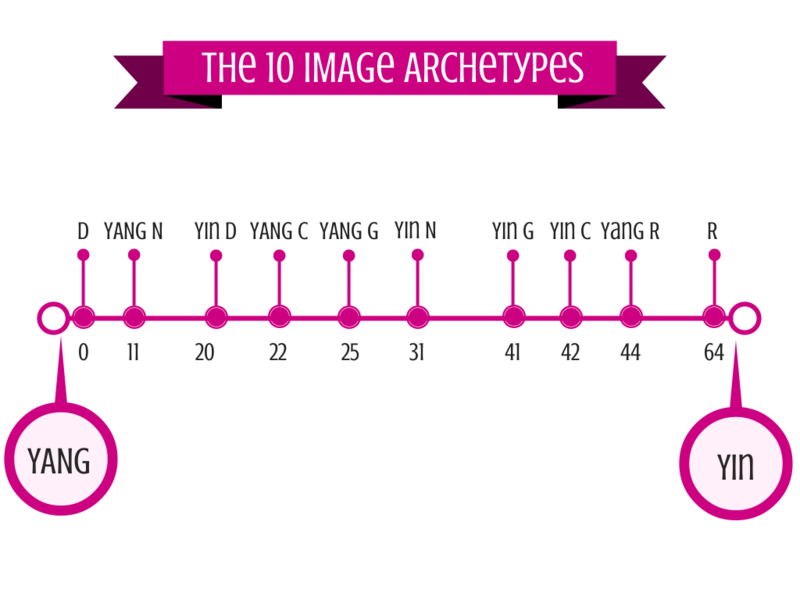 A lot of gamines are DYT Type 4s–Twiggy, Audrey, Halle Berry. I think Alexis is 4/1. I watched some recent interviews with her, though, and she actually seemed pretty fresh and bubbly/effervescent, and much younger than 35. I know what you mean, but she actually seems to have a quite austere, restrained energy to me. When I’ve seen her interviews, it feels to me more like she’s performing a role of bubbly fun than anything. It makes sense to me that there must be people who are borderline DC/FG. She seems more DC to me but I can see why many people would find her FG. Rachel’s graph ignores *how* yin and yang are put together. C and G types are opposite. C is symmetry/blended yin and yang; G is asymmetry and yin and yang in conflict. You can’t be on the border between a G type and C type anymore than you can be on the border between R and D. They’re just fundamentally different.